Bai Truong beach is one of the most beautiful, longest and busiest beaches in Phu Quoc where tourists not only admire the gorgeous beauty of the smooth sandy beach, the cool shade of tree lines but also experience the interesting activities such as swimming, sunbathing, etc. It is truly an ideal tropical sunny beach with the yellow sunlight and blue sea that you dream every night. 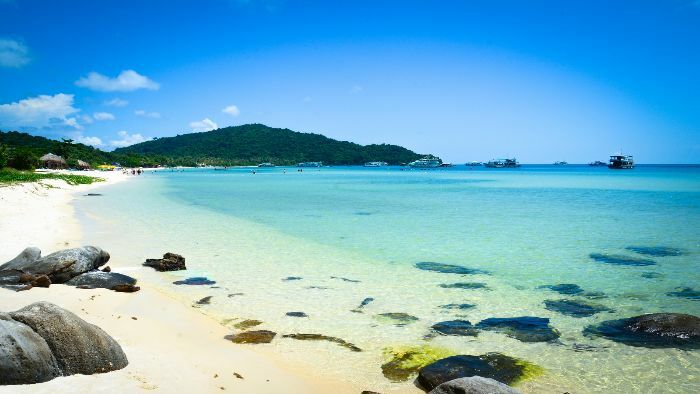 Bai Truong beach or Long beach is located in the southwest of Phu Quoc island and has a coastline of about 20 km long, the starting point of the beach is from Dinh Cau port and stretching to Bac An. The beach is divided into two small different beaches including the North Long beach and the South Long beach. The North Long beach is located on the coastal edge of Duong Dong town. 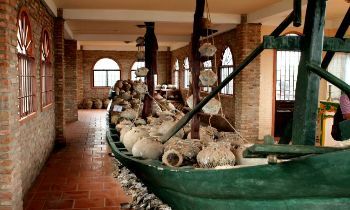 It starts from Dinh Cau port and extends about 5 km south to Phu Quoc's Eden resort. The South Long beach stretches from Eden Resort to Bac An beach, which is about 15 km long. Parallel to the beach is the famous Tran Hung Dao street, which is the main road of the island and very crowded, this is where it concentrates more than 70% of restaurants, motels, resorts, shops, eateries or many other entertainment services on the entire island. That is why tourists to Phu Quoc Island are always here. If you are traveling by the Superdong speedboat, this boat will dock at Bai Vong port, then you can go from Bai Vong port to Bai Truong beach according to the instruction below. When you exit the port, turn left about 300m, then you will see an intersection. At this point, let's turn right and go to the main road and continue for about 2.8m, then you will see the crossroad, continue to turn right and go straight about 750m to meet the next intersection. Once you get here, you just turn left and continue on the main road that you reach the center of Duong Dong town. If you want to go to Bai Truong beach from Duong Dong town, you continue to go straight to an intersection, then turn left about 600m, you will see Trang An Resort and right next to it is the beach. If you travel by plane, after landing on Phu Quoc airport, you should follow this instruction below to get to Bai Truong beach. When you leave the airport area, let's turn right on the main road, go on this road about 2.5km, then through the toll station, you will encounter an intersection. From there, you turn right and enter the large coastal road. This is Tran Hung Dao street which is parallel to Bai Truong beach. What to experience on Bai Truong beach? Running along Bai Truong beach is the beautiful tree line. There are many small lawns and small rocky rapids on the beach. 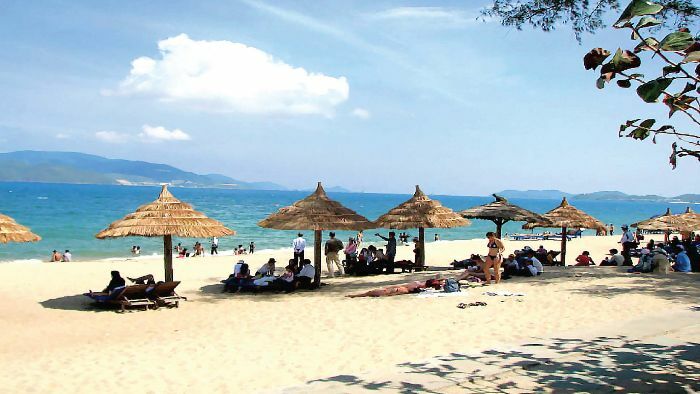 Thanks to its pure beauty, Bai Truong beach becomes very famous and crowded. Phu Quoc beach is now the largest and most crowded beach among the beaches in Phu Quoc. If you are an extrovert person, this is a lively space that blends with nature which is a very suitable destination for you to mix yourself into the crowd. Along the Tran Hung Dao street near the beach, there are many restaurants, motels, resorts, entertaining zones for you to rest and relax. If you want to relax the body, there are also many massage services along the beach which are very popular. In addition, you can rest under the coconut shady to feel the lightly cool sea breeze blowing. Of course, swimming is an indispensable activity when coming to the beach. The Bai Truong beach is a shallow sea zone, the sea water is cool and tranquil. The best time to swim is in the afternoon. The sunset on the beach is also gorgeous. In the development strategy of Phu Quoc island, Bai Truong beach is defined as the main tourist center of Phu Quoc island, where the luxury resorts will be built recently. This is a high-quality tourist zone with the connection between urban space and tourism. 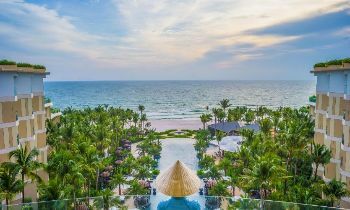 Bai Truong ecotourism environment, where tourists and Phu Quoc people can exchange and access a world-class service, leisure, and entertainment is a new and interesting place on the beach. An afternoon on the gorgeous beach of Bai Truong is such a meaningful and unforgettable experience that you keep it in your mind forever. Let’s come and explore the true beautiful value of this beach. If you need further information about this destination, please contact us via tours of Phu Quoc. Thank you and see you soon!